Over the past 18 days, air quality in the capital ranged between excellent and fairly good on China's index, Du Shaozhong, deputy director of the Beijing Environmental Protection Bureau, told reporters. And he pledged good conditions would continue. "Beijing will be built into a liveable city," Du said. "We will take some new measures to ensure that air quality will reach a new level after the Olympic Games." Du said those measures would be announced after the Games end on Sunday, once officials had studied Beijing's "successful experiences". "Whether it is automobile emissions reduction, or construction site dust reduction or coal pollution reduction, I believe that the requirements will be more stringent," he said, naming three of the top sources of the air pollution that has bedevilled the fast-growing city of 15 million. Dirty air was one of the biggest worries in the run-up to the Games and the opening ceremony on Aug. 8 was held in a swirl of hot haze. Hundreds of factories in Beijing and surrounding provinces have closed temporarily in a crackdown on polluters. And traffic has flowed unnaturally swiftly since late July, when the city adopted even-odd licence plate number restrictions aimed at taking half its 3.3 million cars off the roads each day. Three days of rainfall had also helped clear the haze since the Games started, Du said, and he confirmed more showers were forecast for Wednesday and Thursday. 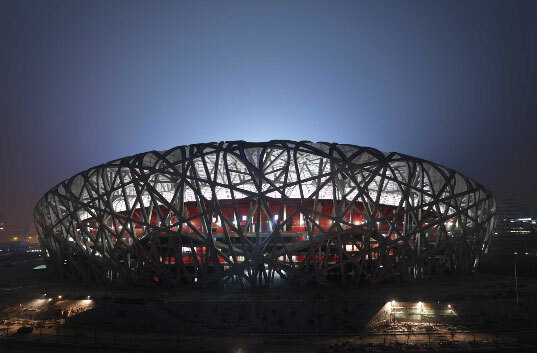 While a cloudy day is predicted for the Games closing ceremony on Sunday, artificial cloud seeding that helped ensure a rain-free opening may also be used before the finale in the roofless Bird's Nest stadium, Du said. To reassure anyone fearing that the clearer, fresher air would vanish along with the athletes, Du stressed officials were committed to a long-term assault on pollution. "We have noticed overseas and domestic public opinion has pinned high hopes on the efforts," he said.